Web Design, Digital Strategy, SEO and much more. You’ve built a strong brand in the physical world. It’s time to reflect your brand online. 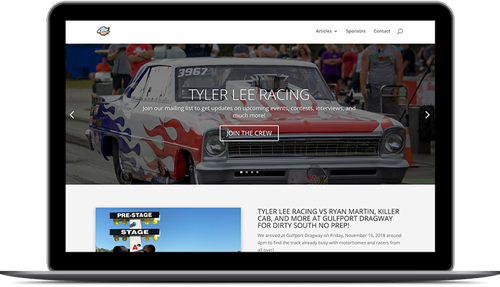 It's time to turn your website and social channels into powerful tools; more than a digital brochure. Contact us today to see how Taylor Digital Solutions can solve your web design needs and unite your digital presence with our digital strategy, on-page and off-site SEO, digital media, and much more. It’s time to grow.  We combine our signature strategy to every project and build every site with the user experience, security, and accessibility as our top priorities. Responsive web design means the layout of your website automatically adjusts to the screen size of the viewers’ devices. Responsive web design by Taylor Digital Solutions ensures your brand is displayed professionally on screens of any size. This allows you to reach a much wider audience as well as rank higher in search engine results. How are you listening to your communty? Let us build beautiful contact forms and data capture forms that automatically export captured information to an excel file or google sheet for you to analyze and deconstruct your local market. Additionally, we can have your information routed to multiple email address, sheet owners, tables, and much more based on user input! We often build forms for our partners who are looking to hire new employees, build uniform estimates quickly and accurately, or even track progress on tasks. Using conditional logic, we can set many different actions based on initial input. Let’s chat and take a deep dive into organizing your information funnel. Building a website means nothing if your users can’t easily navigate through your services, articles, and educational documentation. Build trust and loyalty with your viewers by ensuring every page is built around user experience. Build online training seminars, sessions, courses and more. Track progress and auto-generate certificates. This system is often used in construction companies to create off-site safety training prior to jobsite arrival. Do you offer a service that requires a membership? Reach out today and tell us a little more about your membership needs and we’ll be happy to build you a custom quote. 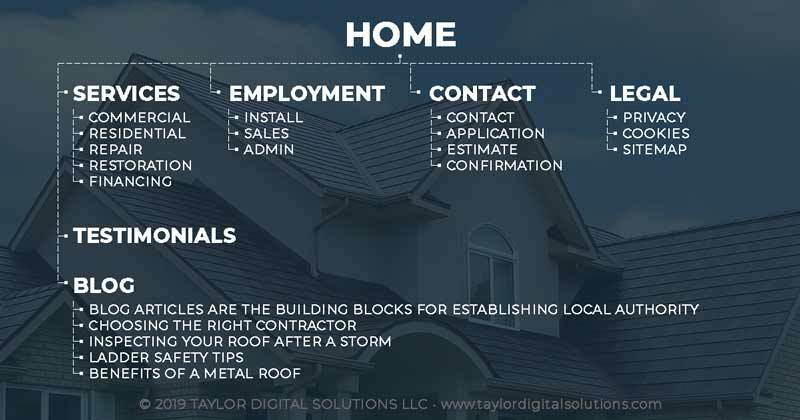 At Taylor Digital Solutions, we understand the construction industry, patterns of small business, and what it takes to build a growing online community in order to center your brand as the authority in your niche. Each project we take on begins with a digital workbook for you and your partners to complete. This ensures that we align our creativity, marketing, and strategy with your vision, mission, and brand. Our digital strategy consists of nothing less than a deep dive into your niche. This discovery process brings light to your bussiness’s weak spots and tells us where your brand realistically stands compared to your local competition. How many local competitors do you have? What low hanging fruit can we quickly pick to gain some easy traction? How is information displayed on your website to your viewers? How is information on your website submitted to search engines? Properly built content, strategically placed and linked into your website bed, will boost your on-site user experience, SEO, and ultimately boost your sales. Keywords and key terms are gathered during our digital strategy research phase. Once we know the keywords and terms that are being searched by your target audience, we know what pages to build and what articles to write. Further more we understand what content to put on those pages or articles. This creates our own web of premiere content. An outline of these pages is submitted to search engines as our sitemap. This tells the search engines what pages we have and what content lives on those pages. Your website is your property line. Digital Strategy is your foundation. Digital Content is king. Our company foundation was built on our content creation abilities. We are always fine tuning our story-telling machine to ensure maximum viewer captivation. We frequently use drones, 360 cameras, GoPro’s, and more to capture footage. We then edit the footage in house using any number of softwares and effects from our editing suite. We are skilled in Adobe Premiere, After Effects, Photoshop, and much more. One sure way to position yourself as the local authority is to provide your audience with useful, easy-to-read infographics educating them on the problems that you solve. Static Images - A Picture Is Worth How Many Words? Most audiences are visually motivated. Have you ever submitted a text-only post to social media? Try posting the same content but this time add a relevant photo. Which post is going to outperform the other? During our research phase, we’ll assist you with planning out your digital content for the year. This includes roundtable brainstorming for images, videos, infographics, and much more to better target your services and push your brand to the front of the line in search engine results. 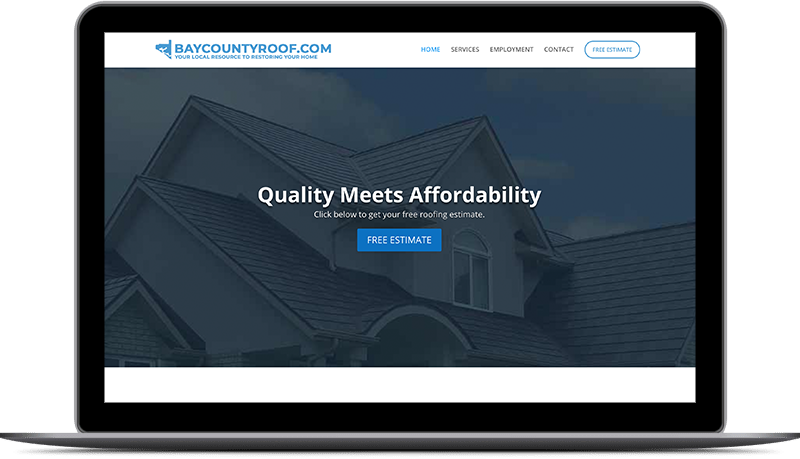 Let's take a look at Bay County Roof Case Study and how we changed the approach to disaster relief roofing.